Located in Las Vegas, the Regional Transportation Commission of Southern Nevada (RTC) is the transit authority and the transportation-planning agency for Southern Nevada. The RTC transit system carries more than 64 million riders per year and is one of the most efficient transit providers in the United States. RTC had previously implemented the FileNexus® Document Management System in 2012 to provide complete, secure archival and seamless integration with MS Govern, RTC’s chosen Financial Management Solution. Users have immediate access to FileNexus® documents directly from within the financial application, saving them valuable time by not having to switch between systems. In addition, key document properties are updated in both systems automatically, without user intervention, as users go through their daily processes providing them with improved access to their data. Recently, RTC was interested in the ability to present their contracts back to the customer for viewing or approval. They needed a system to securely store and display the contract, capture any new components, and automatically send email reminders for contract management to relevant parties as needed. RTC chose to use their existing FileNexus® system to achieve just that. RTC’s contracts are now captured directly in FileNexus®, along with any supporting documents – no need to find, retrieve, and return a paper copy of a contract or worry about important documents being inadvertently lost or destroyed. FileNexus® indexes each document, including attachments, with a unique identifying number and automatically generates workflow action items (i.e. pending expiry date) for follow up. The generated action items are automatically emailed to the appropriate employee at the appropriate time in order to ensure a smooth progression of activity. 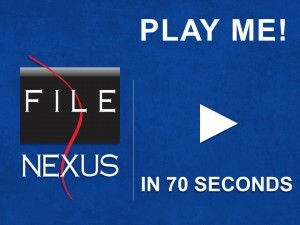 FileNexus® also generates a direct link to the document in the body of the email. FileNexus® has empowered the RTC team to work more efficiently from within their financial system using centralized and standardized processes, while keeping all of their data at their fingertips. To read the original story on RTC please click here. 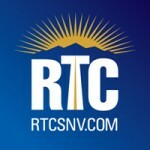 For more information on RTC please visit http://www.rtcsnv.com. The FileNexus® Enterprise Document Management System gives organizations, both large and small, the ability to capture virtually any type of document from any source (i.e. paper records such as maps, drawings, manuals, electronic files such as host generated reports, client statement streams, IVR recordings, etc. ), index and compress them for secure archival and future recall—providing a single cohesive repository for all document management, workflow, archival and business continuity needs. Simple to use and learn, FileNexus® is designed to take advantage of existing infrastructure, minimizing project costs and reducing both IT and user training requirements. For more information on how FileNexus® can improve your business efficiency, please visit www.loristech.com, or write to sales@loristech.com. This entry was posted in Client Profile, Uncategorized and tagged contracts, customer service, MS Govern, public services, transportation by admin. Bookmark the permalink.